Deciding on colors for around the sewing room I looked to find inspiration IN the room itself. I love every thing vintage so it was natural to pull from this beautiful Singer to make my next decision! She is so beautiful! Found on Craigslist for $35 including all the attachments! I was a happy camper and to top it off, she sews like a dream :o) The color of that machine is so very lovely, the decision was made to add that somehow into the room in bits and pieces. In the corner of the sewing room there has been this bolt of fabric. It is from I am sure the 70's and came from my grandparent's home after my grandmother passed a few years ago. I have been unsure where to use it but this past weekend when I was working on the painting the sewing table it hit me like a ton of bricks! The fabric will be used on my chair that is now a dark gray to brighten up and liven up the room. It brings my grandparents kinda into my everyday life an that brings me great joy! 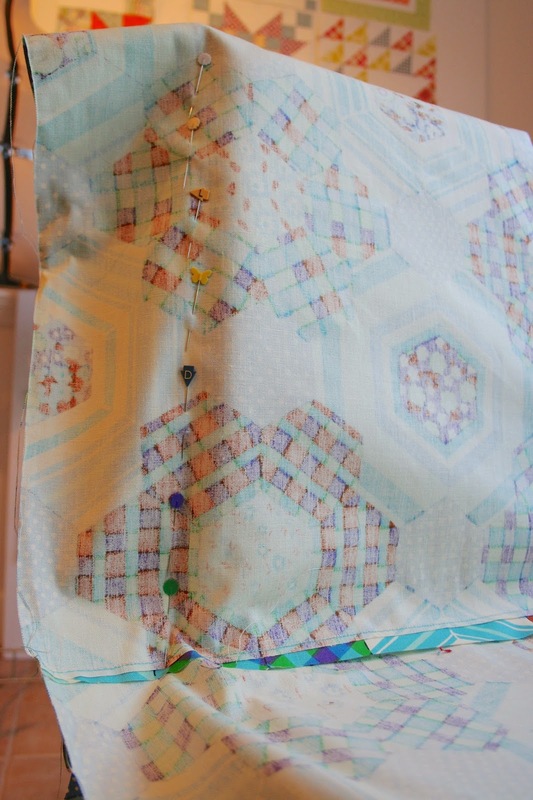 What inspires you IN your sewing room? Adore the colour of the machine and just love the fabric too. The color of the machine is perfect, soft and pretty. That is a great idea, doing your chair. You will be so happy when you are done. 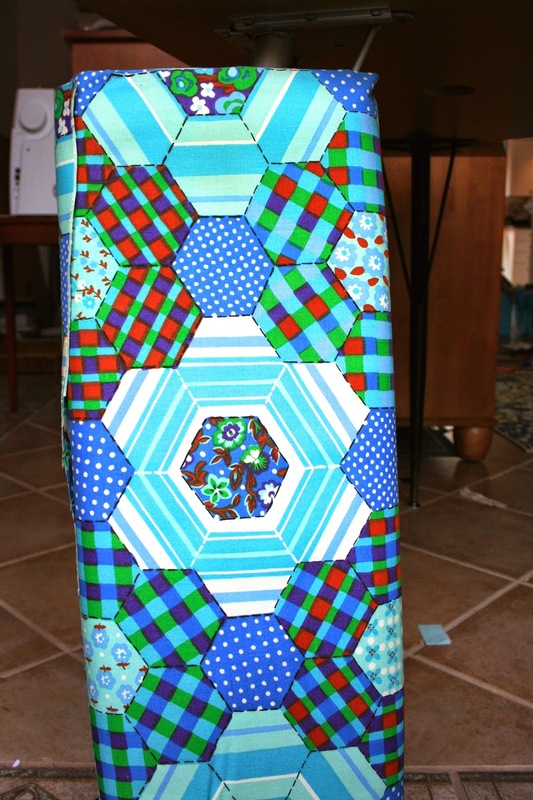 My Mom has a hand tied quilt using that same print in a different colorway, I have always loved it bright colors. I'm sure it will come out beautiful! I can't wait to see the finished project! A match made in heaven! Whilst it is lovely to use beautiful new fabric from the latest collections, as the size of my stash will testify, using something authentic with a history is so special. The fact that it fits so perfectly is a huge bonus. I love the sewing machine, great buy!! Your grandparents fabric will go great with it.